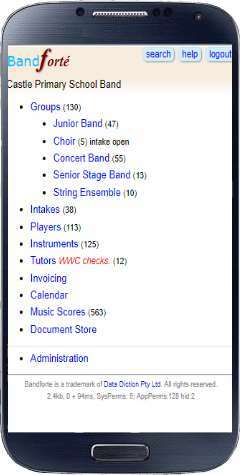 Bandforte is a web based application which streamlines management of your school or community band program. Supports all styles of music ensembles. Bandforte enables band coordinators, parents, conductors and tutors to manage information seamlessly. Updates are instantly available to your team. Use download features to easily create listing of ensemble members, of tutors etc.